B y blocking 99% of the suns harmful UV rays, you will improve the light that comes into your room. During the summer months you can benefit from this film by blocking around 79% of the suns unwanted heat, and reduce glare in the process. By reducing the amount of heat that comes through your windows during the summer many people notice up to a 50% reduction on their cooling costs. Many homes being built today are designed to be exposed to sun light from many angles. Window film is a sound investment with many people seeing an ROI within 3-4 years after installation. In addition to energy savings, you will enjoy added privacy, fade protection, and improved comfort and safety. In the summer, the film will absorb the heat at the source (the windows) and reduce the heat that enters the room. This will allow the cooling system to run more efficiently, and achieve a constant regulated temperature. During the winter months heat can easily escape through windows making it harder to maintain a warm temperature in your home. Adding window film can block the heat from escaping so there isn’t as much of a need to run your heating system, significantly reducing your heating bill. Sun light in your home can cause furniture fade, increased energy costs, and glare. Adding Vista window film can turn all of these negatives into positives with their window films. If you have recently remodeled your floors and redecorated with new home furnishings, they are at a risk of fading. By installing UV protective window film you can block 99% of the harmful UV rays that cause these problems. 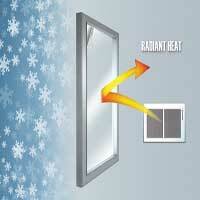 Energy efficiency window film is the perfect cost effective option over window replacement. Replacing your entire window can be expensive, time consuming, and noisy. 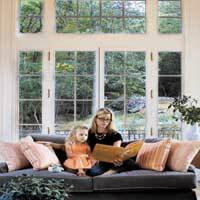 Window film on the other hand cost about one-tenth of the cost of replacement windows, can be installed in about 15 minutes without the mess and noise. There are certain areas of every home that require a little more privacy than others, such as bathrooms, or windows near high traffic areas . With privacy window film you can easily gain the privacy you desire without losing the light. If you would like to explore other options, you might consider stained glass from our sister company Scottish Stained Glass. 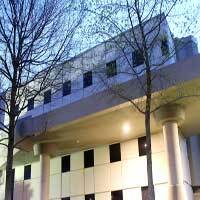 When you think of security film, commercial buildings often come to mind. Did you know that security film is also a great option for home residential windows. Vista has been a cost effective industry leader for years. Dallas Window Film is proud to carry and install Vista Window Films. If you are interested in learning more about any of our amazing window film, or if you would like to schedule an onsite consultation, give Dallas Window Film a call.